Finally! Product bulletin in English. 09 Oct Finally! Product bulletin in English. It took some time, but its finally here. 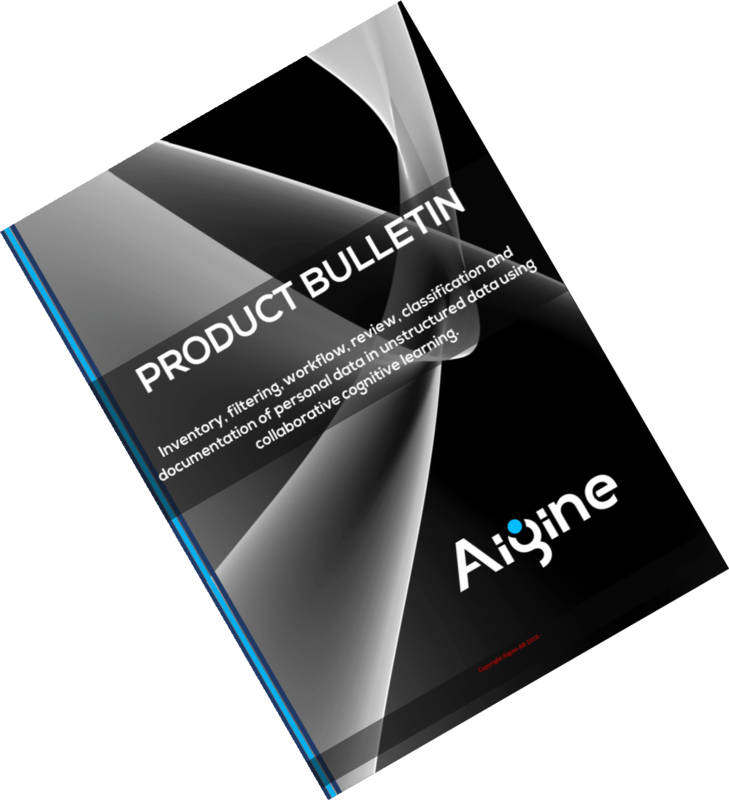 The Aigine product bulletin in English. The bulletin is supposed to describe of all our thoughts, together with all your questions. Here, you find legal analyzes, guidelines and a thorough description of collaborative cognitive learning, and why regex is a bad idea for anything GDPR.